The only real problem I forsee is more time outside means less time sewing, and I find myself conflicted in choosing between the two. 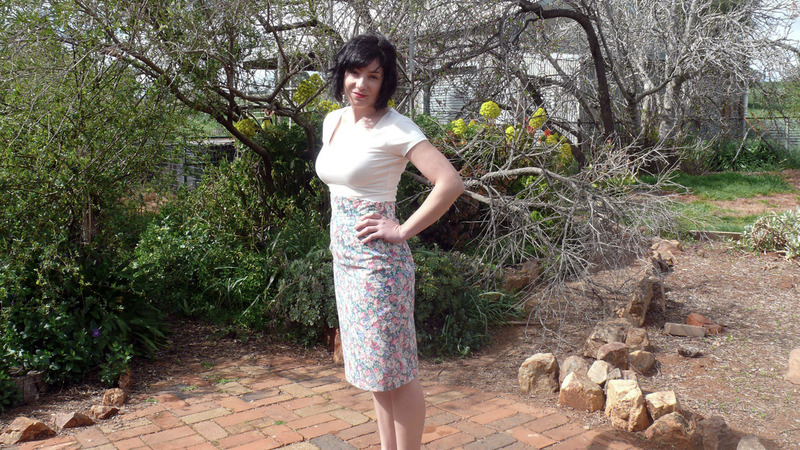 The Spring Skirt – the pencil skirt from Gertie’s New Book for Better Sewing – is my way of reconciling my competing loves. This skirt is a great addition to my wardrobe. I love florals and the busy-ness (or is it business?) 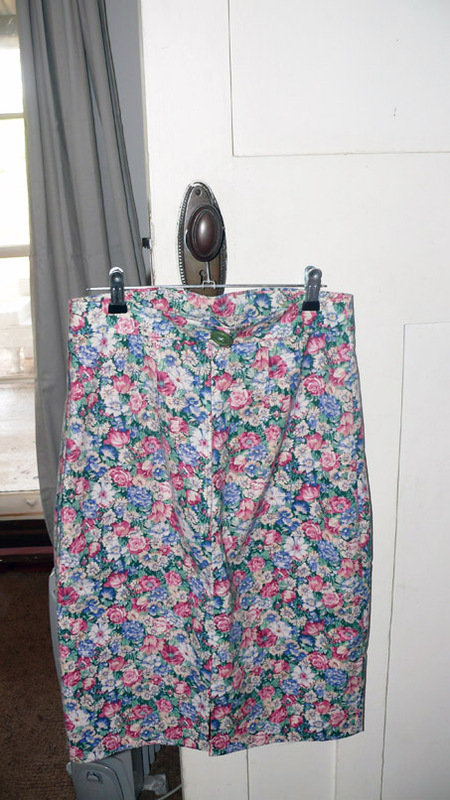 of this skirt means I can just wear plain-coloured tops and shoes and the token pattern/colour/floral factor I strive for in every outfit I wear is taken care of in one fell swoop. The fabric itself is very special to me as it came from the stash of mum and my nonna, who are my sewing idols (and whom I have inherited the sewing gene from). Mum thinks it is wool/cotton mix she bought from a fabric wholesaler many MANY moons ago, possibly when she was my age or younger. It is funny mum bought it because ordinarily we have wildly different tastes when it comes to fabric and patterns, but this one was bang on. I guess that could be why she never used it, but for which I am so glad! I made a straight size 6 this time after making a size 4 graded to 6 last time. Last time I used a stretch sateen and the skirt was skin tight, so this time I opted for a bit more ease in the waist but did take a bit out between the waist and hip. I’m not sure how much, but it was probably almost as much as a whole size. I kept the waist the same size though, and I’m glad I did as it is stacks more comfy that my other pencil skirt when I sit down! I also shortened it a fair bit compared to v1 because I wanted it to hit below the knee. I think I removed 2-3 inches from memory. 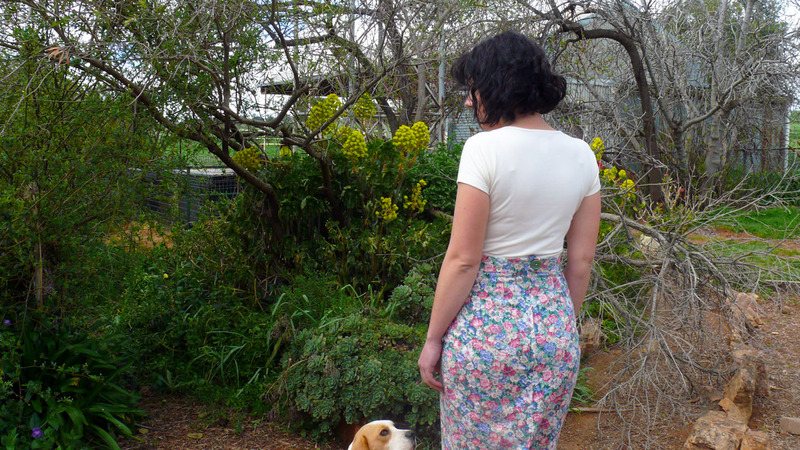 This length is more flattering for a shorty (165cm) such as moi! 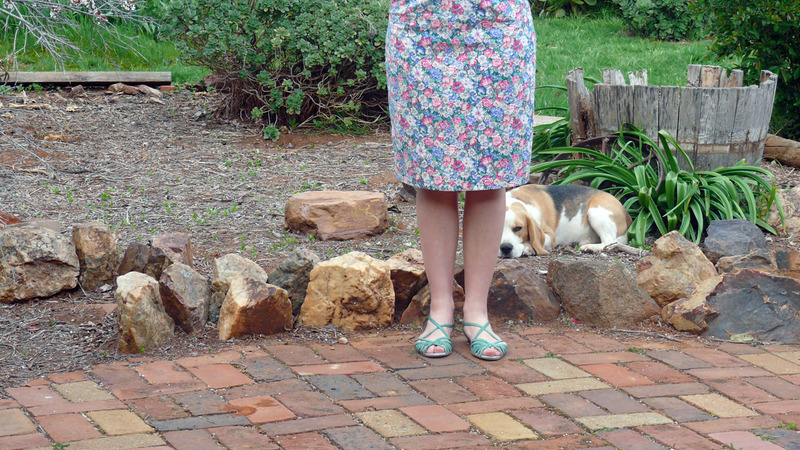 Being the second time I sewed this pattern, there were no surprises. It went together fairly quickly. I used some leftover coral cotton voile to line it as the fabric was relatively light and I thought it would benefit both structually and visually with some sort of reinforcement. I also made my first blind hem with the machine! I was sceptical of how it would turn out, but it was actually really good because my machine only picked up the lining and thus there is a flawless hem on the right side. Goddamnit I love when things just work out! 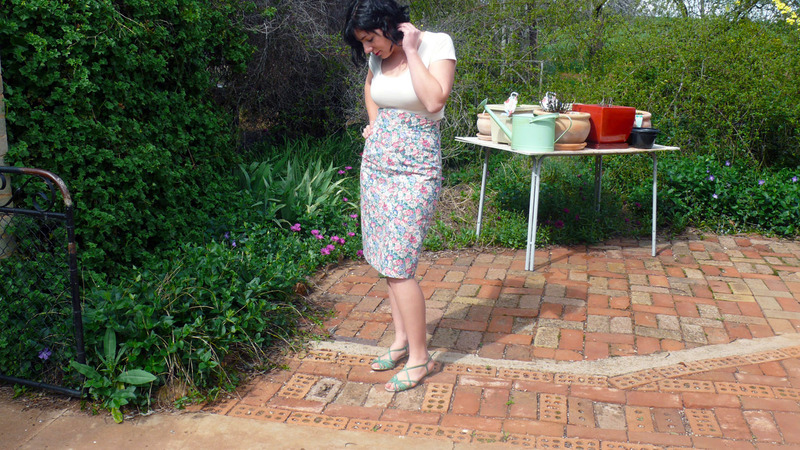 I might make this pattern again – I really like it! I’m thinking navy blue and black versions in a stretch fabric, like ponte or sateen again. I reckon I would get a LOT of wear out of those because I have a lot of floral-patterned tops. I have a type. Sue me! Simply gorgeous! 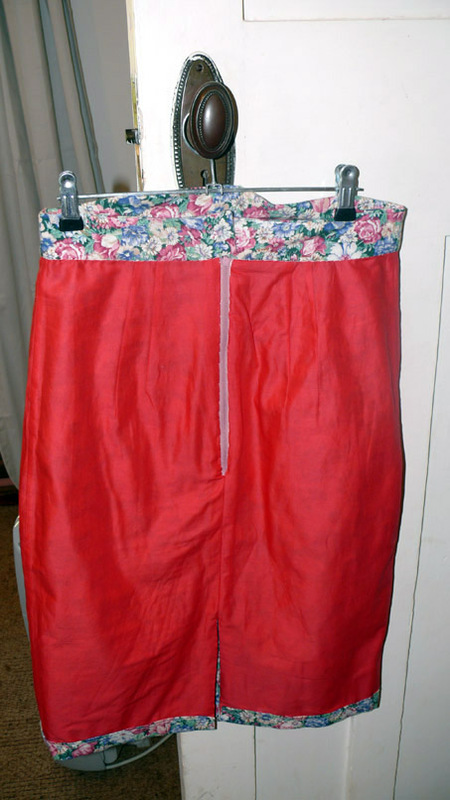 Love how a decades old piece of fabric can turn out so fabulous. 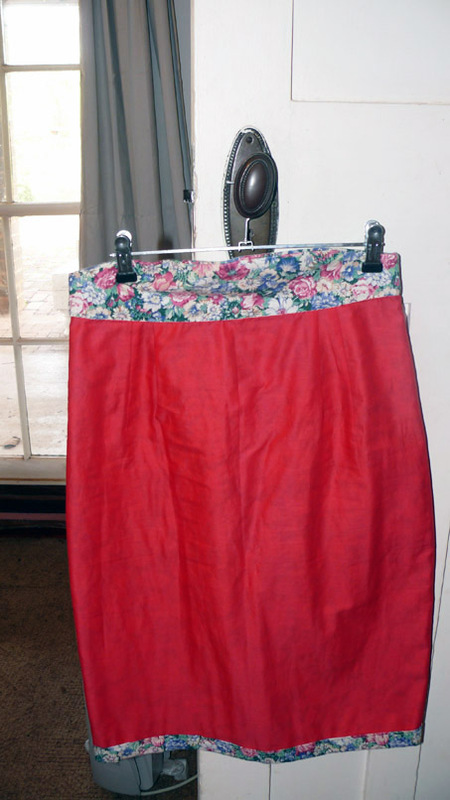 What a beautiful spring skirt. The fit is perfect and I love that floral fabric.